Wool and Wheel: Orchids & fairy lights. 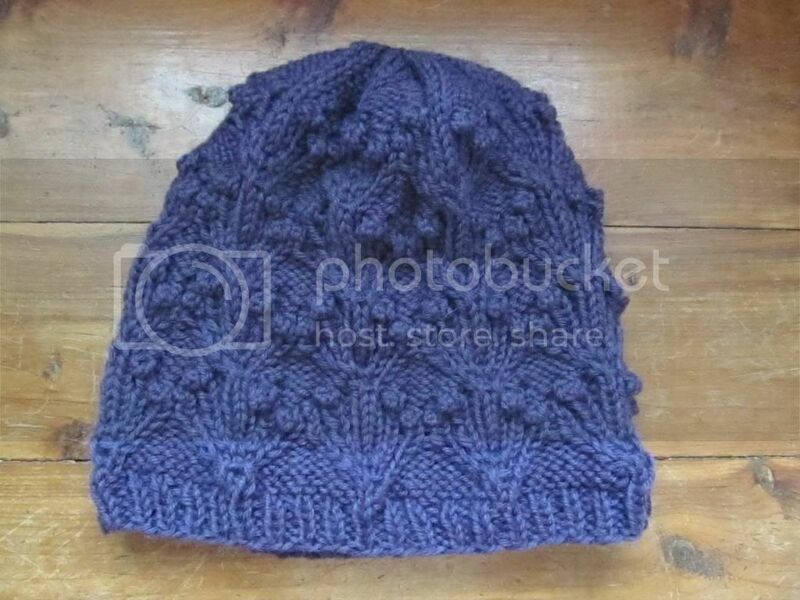 The pattern is orchids & fairy lights, by tiny owl knits. At first the pattern seemed difficult, but after you get through that first of the four repeats of the design, it gets easier. This was my second cables project and my first time making bobbles. 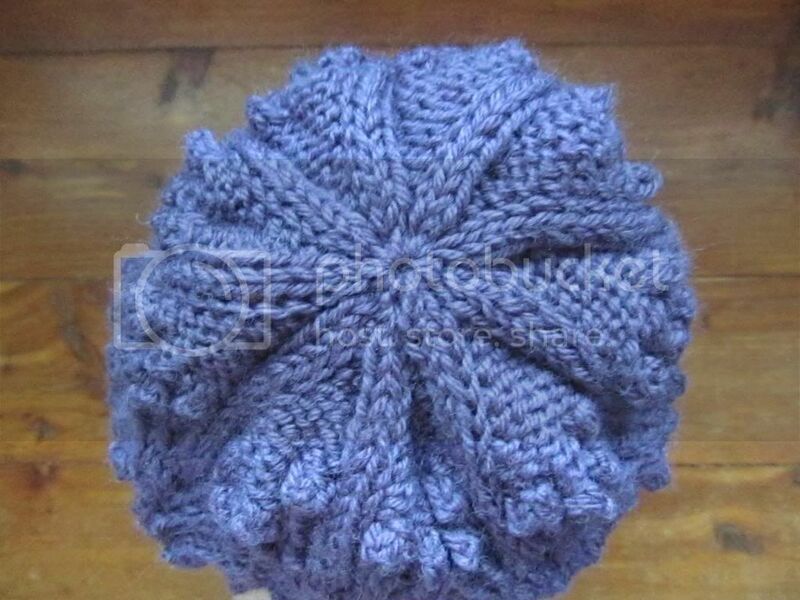 By the way, this is supposed to be a slouchy hat. Well, as you can see, apparently I have an abnormally large head. :) It's not tight, but there's nothing slouchy about it, except that maybe it's a couple of inches taller than a beanie-style hat. 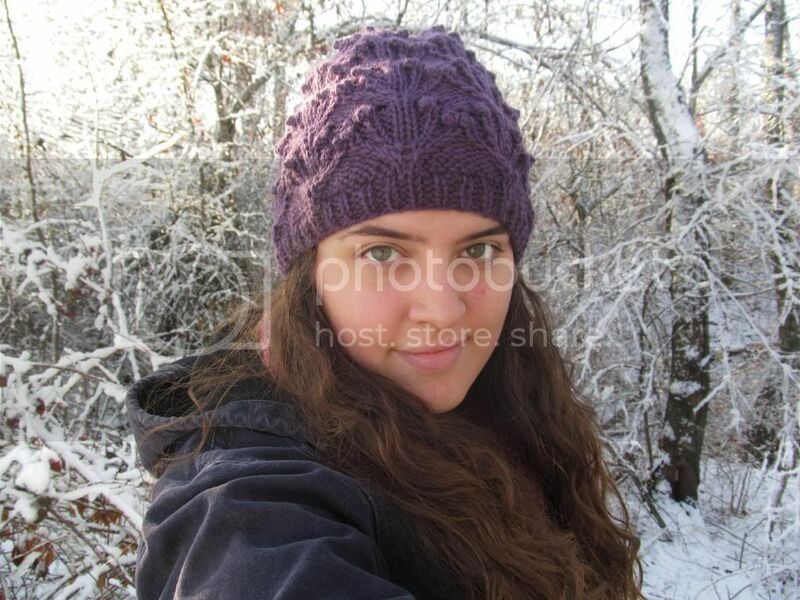 I'm a little disappointed that I still haven't been able to see how slouchy hats look on me, but I still love it. 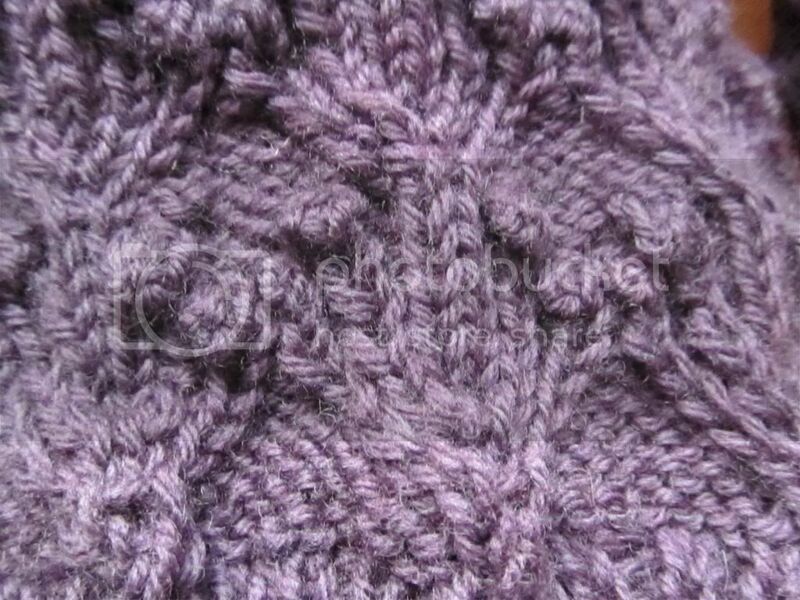 I already had this one random skein of purple wool yarn...I think I originally bought it for the Hermione hat but ended up not using it. The above pictures are more accurate, color-wise. It's not blueish like the next two make it look. SO cute!! 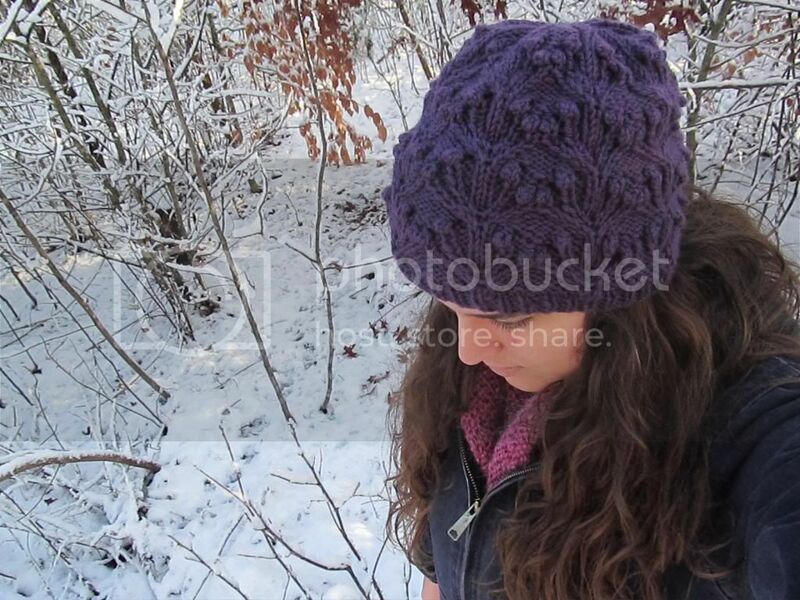 I like it non-slouchy and I am quite impressed by your knitting!